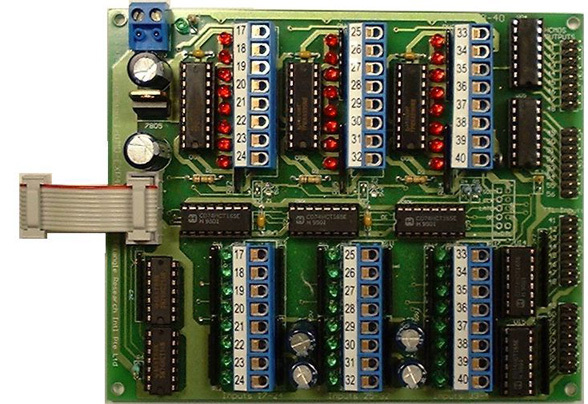 The EXP4040 is an expansion board specifically designed for the FMD-Series and F-Series PLCs. It adds additional 40 digital inputs and 40 digital outputs. Of these expansion I/Os, 16 of the expansion digital inputs are TTL levels, and 16 of the expansion digital outputs are 5V HCMOS logic level type. EXP4040 can be cascaded or mixed with EXP1616 to provide up to maximum of 128 digital inputs and 128 digital outputs for any FMD or F-series PLC model. EXP4040 is also identical in size to the FMD and F-Series PLCs. 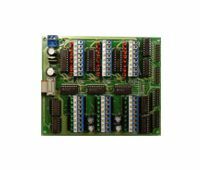 This allows one or more of the expansion board(s) to be “stacked” on top or below a T100MD1616+ PLC for applications where the controllers must be fitted within a very tight space. - Dimension (L x W x H) 5.0" x 4.5" x 0.8"